Last Super 3-D Crystal Paperweights Virgin Mary Laser Crystals and Paperweights depicting the Apparitions. Lourdes Apparition 3-D Crystal Paperweight. Lourdes Blue 3-D Crystal Paperweight. Lourdes Blue Tea Light Crystal Candle Holder. Lourdes Tea Light Crystal Candle Holder. Lourdes Color 3-D Crystal Paperweight. Small Lourdes Color 3-D Crystal Paperweight. Apparition Blue 3-D Crystal Paperweight. Holy Family Laser Crystal Ornament / Paperweight. Last Super 3-D Laser Crystal Ornament / Paperweight. 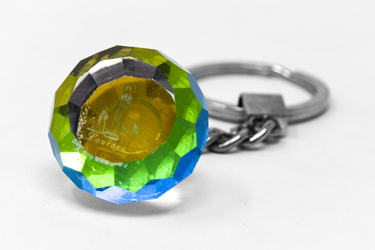 St.Christopher Lazer Engraved Crystal Key Ring. 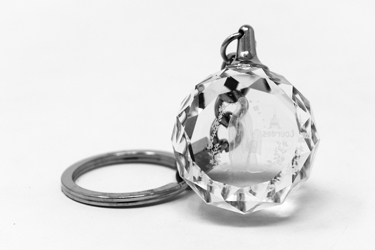 Lourdes Round 3D Crystal Laser Key Ring. Lourdes Apparition 3-D Crystal Laser Key Ring. 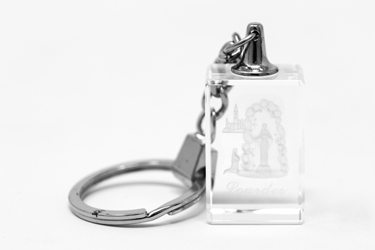 Lourdes Sanctuary 3D Laser Crystal Key Ring. Guardian Angel Laser Engraved Crystal Key Ring.